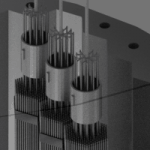 Self-Powered Neutron Detectors (SPND) are neutron detectors, that are being widely used in reactors to monitor neutron flux due to its adaptability for in-core severe environment. SPNDs may be a part of the incore neutron flux monitoring system, which provides detailed information on neutron flux distribution and thus the margins to these peak power limits. These detectors use the basic radioactive decay process of its neutron activation material to produce an output signal. As the name implies, SPNDs do not require an external voltage source to create a voltage potential in the detector. Instead, a current is produced in the detector as the result of neutron activation and subsequent beta decay of the detector itself. 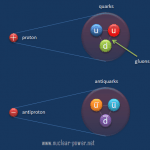 Because of the emission of these beta particles (electrons), the wire becomes more and more positively charged. The positive potential of the wire causes a current to flow in resistor, R. The electron current from beta decay can be measured directly with an ammeter. The emitter material has a much greater lifetime than boron or uranium-235 lining used in fission chambers. Prompt response detectors. The prompt response detectors as Cobalt and Inconel are used in reactor protection and regulation applications. Delayed response detectors. The delayed response detectors like Vanadium and Rhodium are being widely used for Flux Mapping System (FMS). Emitter. An inner electrode, which is made from a material that absorbs a neutron and undergoes radioactive decay by emitting an electron (beta decay). The emitter is usually made of rhodium and is used to produce electrons. Insulation. The emitter is surrounded by insulation, which is usually made of aluminum oxide. 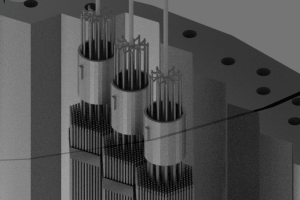 Self-powered neutron detectors are usually placed into the instrumentation tube of a fuel assembly, they can monitor the entire length of selected fuel assemblies to provide an extremely accurate, three-dimensional map of the neutron flux distribution. Using these data, neutron flux reconstruction can be performed also in the rest of the reactor core. Typical materials used for the emitter are cobalt, cadmium, rhodium, and vanadium. 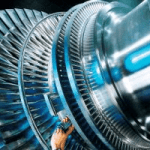 These materials should be used because they possess relatively high melting temperatures, relatively high cross sections to thermal neutrons and are compatible with the SPND manufacturing process. Special Reference: William H. Todt, Sr. CHARACTERISTICS OF SELF-POWERED NEUTRON DETECTORS USED IN POWER REACTORS. Imaging and Sensing Technology Corporation. New York. 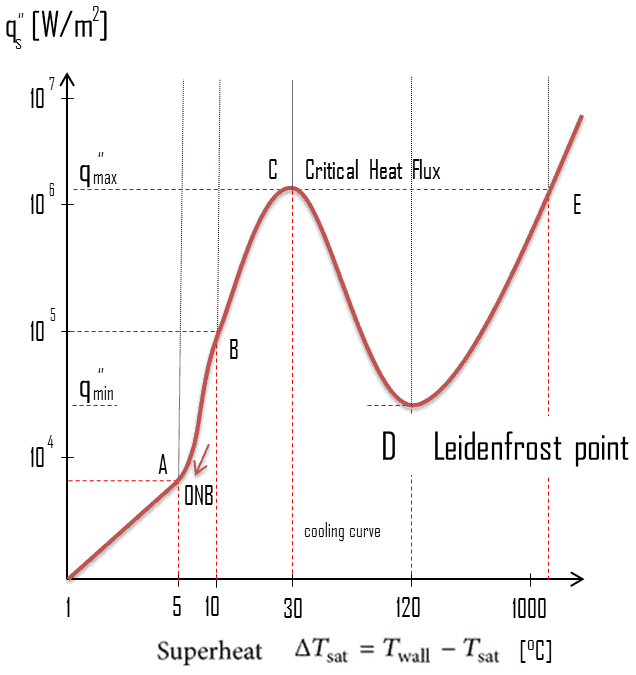 The Heat Flux Hot Channel Factor – FQ(z), which is defined as: The ratio of the maximum local linear power density, where there is a minimal margin to limiting fuel temperature (during AOOs), to the average local linear power density in the core. The Nuclear Enthalpy Rise Hot Channel Factor – FNΔH, which is defined as: The ratio of the integral of linear power along the fuel rod on which minimum departure from nucleate boiling ratio occurs (during AOOs), to the average fuel rod power in the core. This data can be used to determine fuel burnup, and isotopic fuel inventories in the core at any time during the fuel cycle. 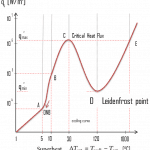 This data can be used to verify that the quadrant power tilt ratio (QPTR) meets the technical specification limit. The data will also provide trends of core conditions so that corrective action can be taken before a condition becomes excessive. One of possible materials is rhodium as the emitter. A SPND with a rhodium emitter has a relatively high sensitivity, high burn-up rate, perturbs the local power density and has a (two-fold) delayed signal. Rhodium-based detector is the beta-current type of self-powered detector, which uses the following activation reaction to produce a current that can be measured. As can be seen, a neutron captured by rhodium-103 causes a rhodium-103 atom to become a radioactive rhodium-104 atom. The rhodium-104 then decays into palladium-104 plus a beta particle (electron). The beta particle has enough energy to pass through the insulator and reach the collector. The half-life of activated rhodium-104 is 42.3 seconds, which delays the emission of the charged particle. Rhodium based detector uses this production of beta particles (electrons) to create a current that is proportional to the number of neutrons captured by the emitter, which is also proportional to local reactor power density. A portion of the detector’s current flow is due to gamma rays. In order to compensate for this erroneous signal, a background correction is performed via background detector, which consists of the same components as the detector, except the rhodium is removed. 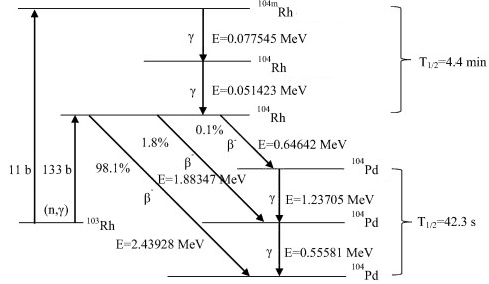 Rhodium-103 has a capture cross-section of 133 barns for thermal neutrons and a resonance at 1.25 eV. This reaction leads to production of 104Rh with T1/2 = 42 sec which is beta radioactive. It must be noted about 11 barns belong to reaction in which an isomer 104mRh is produced (with T1/2 = 4.4 min). 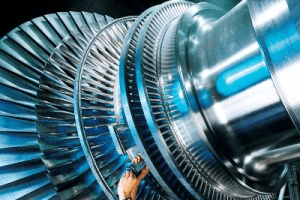 The following characteristics are typical when used in thermal power reactor (e.g. PWR). The rhodium burnup rate is 0.39% per month in a thermal neutron flux of 1013n/cm2/sec. 92% of the signal has a half-life of 42 seconds. 8% of the signal has a half-life of 4.4 minutes. The beta emission has an energy of 2.44 MeV. A SPND with a vanadium emitter has a relatively low sensitivity, low burn-up rate, with minimal perturbation of the local power density and has a very long delayed signal. Vanadium-based detector is the beta-current type of self-powered detector, which uses the following activation reaction to produce a current that can be measured. Vanadium-51 has a capture cross-section of 4.9 barns for thermal neutrons without resonances. This reaction leads to production of 52V with T1/2 = 3.74 min which is beta radioactive. The vanadium burnup rate is 0.012% per month in a thermal neutron flux of 1013n/cm2/sec. 99% of the signal has a half-life of 3.8 minutes. 1% of the signal is prompt. The subsequent beta emission has an energy of 2.6 MeV.